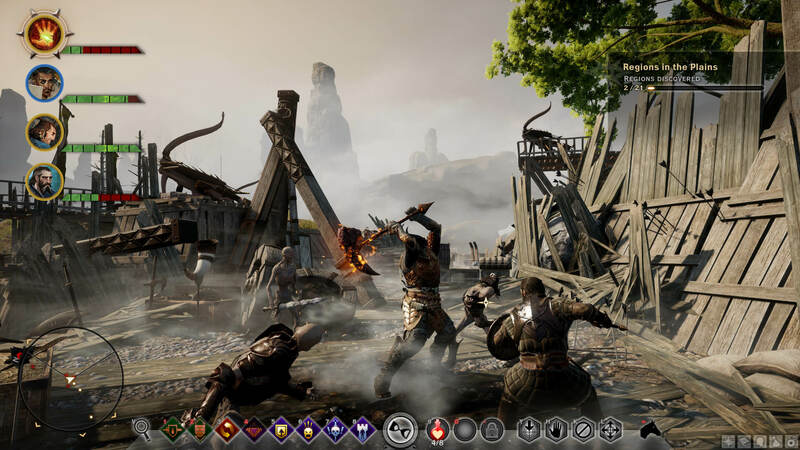 Here’s the first official HUD screenshot for Dragon Age Inquisition. Looks really slick and stylized, I love the art direction of the game. Looks like I just squeeze by with my own computer for the recommended settings with my GTX 660 and 8 GB of ram, and my computer parts are pretty much 1-3 years old by now. The minimum requirements seem very fair as well. If by some weird chain of events you still haven’t played Dragon Age: Origins (the first DA game), you can get it for free right now on Origin, EA’s version of Steam. I would highly recommend playing the first game if you’re totally new to Dragon Age, and you still have enough time! Other than that, not much new stuff to talk about. 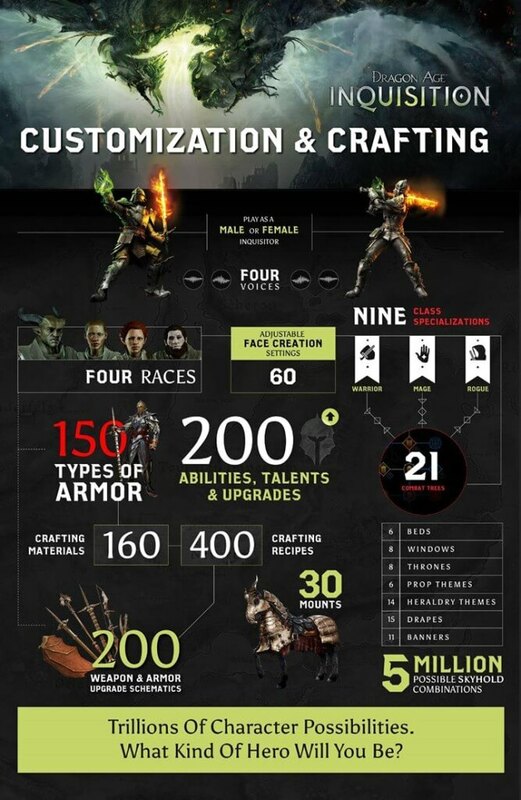 The only notable thing is that stats will apparently not be assigned as you level up anymore. For those of you interested in Dragon Age Keep: there is no official release date yet, but we know for certain it will be released some time prior to the official game. Most predictions at the moment say end of October. And here’s a new gameplay video. Those graphics and combat effects look awesome! To add on to yesterday’s video, here’s another quick character creation showcase for Inquisition. The graphics are absolutely outstanding, I like the dwarf in particular. And the amount of customization is ridiculous!